The Republic of Kiribati (pronounced KIRR-i-bas) is an island nation located in the central tropical Pacific Ocean. The country consists of 32 atolls and one raised coral island dispersed over 3,500,000 square kilometers. The nation is also is one of the world’s poorest countries. It has few natural resources. Copra (the dried meat, or kernel, of the coconut used to extract coconut oil) and fish now represent the bulk of production and exports. Tourism provides more than one-fifth of GDP. In this pour nation, that is the home to a 100 thousand natives, there is a growing concern from the effects of global warming. In fact, Kiribati is already suffering from the consequences of climate change. Sea level near Kiribati has risen and will continue to rise throughout this century. In addition to this, ocean acidification has been increasing in Kiribati’s waters and will continue to increase and threaten coral reef ecosystems. Mr. Teitiota was a subsistence farmer in Kiribati. However, the atoll and island chain has faced an increase in storm surges and coastal erosion, as well as increased groundwater salination due to the effects of rising sea levels. Water salinity and the loss of arable land to the sea are making it ever more difficult to grow crops out of what was already poor soil. Kiribati has been very vocal on the issue of climate change, calling on the world’s developed nations to accept responsibility for global warming and assist those countries that are already beginning to suffer from its effects. 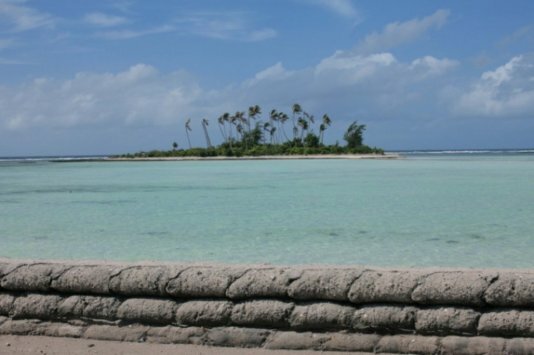 The Kiribati government has also gone so far as to purchase land in Fiji as a last-resort resettlement measure should the country is rendered uninhabitable. So what’s in store for the first climate refugee? It seems that Teitiota is going to head to the United Nations Human Rights Committee in Geneva. Though his success is crucial to future cases, it is hard to believe that in the future governments around the world will be able to stop the ever growing flow of Climate refugees escaping by millions from their lands. What do you think, should Teitiota be recognized as the first of many to come?